In this post, I’m going to provide a crash course for you to learn Hebrew. Of course, this isn’t a comprehensive guide, but it’s one of several that are focused on learning Hebrew. Let’s start with the Hebrew alphabet. You don’t have to master it, but getting familiar with it will definitely help. One thing to keep in mind is that you need to read right to left. If you haven’t already, I strongly suggest you check out this other post on the Hebrew alphabet—learning it is important if you really want to learn Hebrew. Like many languages, but unlike English, Hebrew is a gendered language. Sentence structure changes depending on whether you are speaking to a man or a women. 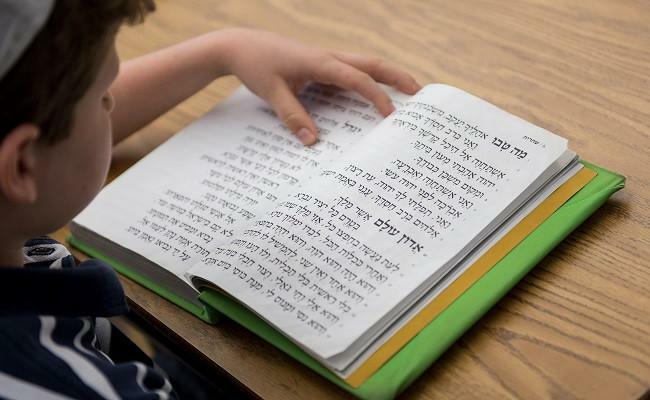 It will take some getting used to but it’s probably the most important part of starting to learn Hebrew –– you should really do your best to notice the gender from the beginning, because if you don’t, it’s much harder to change that habit later on. Even if you say a perfect sentence, it is very unpleasant to have people talking to you like you’re a man if you’re a woman –– and vice versa. Note that both verbs and nouns differ, and it doesn’t only apply to things you’re talking about or people you’re talking to. It also depends on the gender of the person talking; so, for instance, phrases like “I’d like to introduce you to my ___” –– would be said differently by men and women, no matter who you’d like to introduce. The verb takes a female form when its subject (in this case you –– the person speaking; more on that in a second) is a female –– and, you guessed right, a male form when the subject is a male. Now about the subject: the form the verb takes doesn’t necessarily depend on the person speaking. Let me explain: it would be the same if you wanted to say that someone else would like to introduce someone, then it would simply depend on whether that someone else (who does the introducing –– that is, the action in the sentence) is a male or a female. So, in this case, the ‘girl’ and ‘beautiful’ would be in the same order as in English, but ‘this’ would come after ‘girl’, and, just as importantly, you would have to add ‘the’ before, which is only a letter in Hebrew –– ה, pronounced “HA”. So, again, ‘event’ comes before ‘great’. Another important thing to learn from this example is that while you only say ‘the’ once in English, you have to say it twice in Hebrew –– once for the noun (event), and a second time for the adjective (great). I’m going to leave it there for now, but feel free to check out some of my other posts below if you want to continue to learn Hebrew.